“Based on the certificate of aunthenticity, I confirm that our San Pascual Baylon relic in Guinarona is Class A, and it is a portion of San Pascual’s bone.”– ARCHBISHOP JOHN FORROSUELO DU. “When it rains, it pours.”–Anonymous. 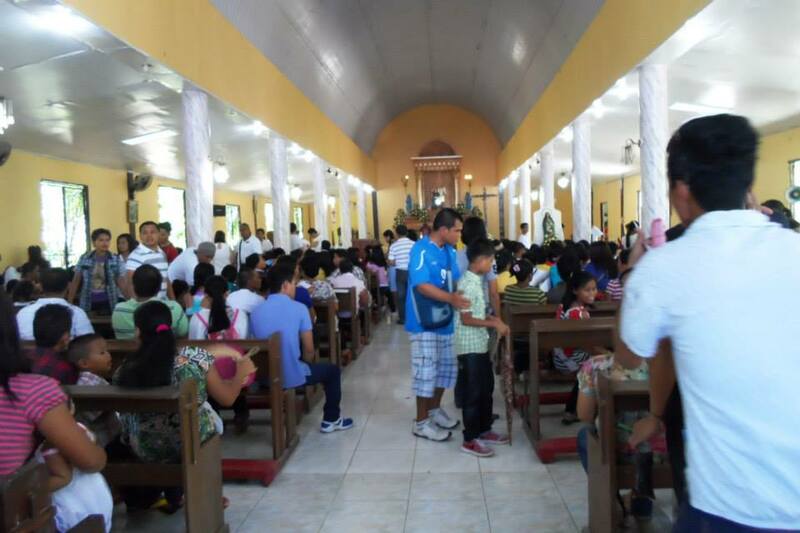 Scene before the Concelebrated Pontifical High Mass, 109th Fiesta for San Pascual Baylon, Guinarona, Philippines. Photo credit: Evelyn Fabian-Ausa. Welcome Home, San Pascual Baylon (1).avi from Benito Maray on Vimeo. We have had blessings galore with the arrival and installation of our 15th Century relic of San Pascual Baylon. Yes, when it rains, it pours! *The Guinarona Parish Church has been refurbished beautifully. The color scheme used is SUPERB. *A NEW shrine for San Pascual is going to be built, a donation from a foreign family. This will be the second shrine, and it will be situated at the church plaza near the national road. *Helen Gumba of the UP School of Health Sciences is donating a brand new, state-of-the-art organ for the San Pascual Baylon Parish Choir.